It was like a scene from the middle ages when the Queen of the Belle Terra held court to announce her daughter’s shock engagement to an American billionaire. But not everybody was prepared to toast the happy couple; three days after the announcement, the palace received a threat to publically behead the Princess and her fiancé. Regrettably, barbarianism was not abandoned in the middle ages. Resting her elbow on the open window of her car door, Diana Prince watched through sunglasses at a yacht gently entering the marina in Civitavecchia. 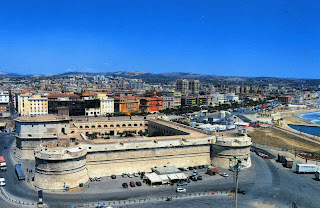 Civitavecchia has served as the nautical gateway to Rome for centuries to traders, invaders, tourists, and nobility. Today, Louis Cesario was on his way to the Vatican to ask the Pope for his blessing to marry Princess Rosetta. Diana pushed a button, and a panel sprung back on the centre console, revealing a small screen showing Steve Trevor at his desk in Washington D.C.
“I don’t get it, Steve, why should a relatively minor Italian princess be subjected to a death threat just because she’s marrying an Italian-American businessman?” pondered Diana. She was about to reply when she spotted an armed man run on the pontoon where the yacht was mooring. Out of her car, Diana was looking for somewhere to transform, when she noticed another a female figure spring out of the sea on a jet-stream of spray. Sporting a white wetsuit with a red visor obscuring her face, the woman knelt, poised in position, with her hands on her sparkling silver belt. The wave lapping over the pontoon was quite an entrance and hadn’t escaped the notice of those on board the yacht or, more troublingly, the gunman. He aimed his MP7 sub-machine gun at the woman. However, she was one step ahead of him; landing a golden throwing star in his trigger finger. He dropped the gun immediately. He pulled the star from his skin and attempted to retreat back along the pontoon, but dropped like stone before he could reach firm ground. The masked figure calmly collected the throwing star and reattached it with the others reflecting right around her belt. With a hand wave to her spectators on the yacht, she dived forwards back into the watery depths of the marina. “What was the emergency?” Steve inquired, once Diana had returned to her vehicle. “Oh, just a gunman on the loose who turns out to be an Italian protection officer,” Diana informed. 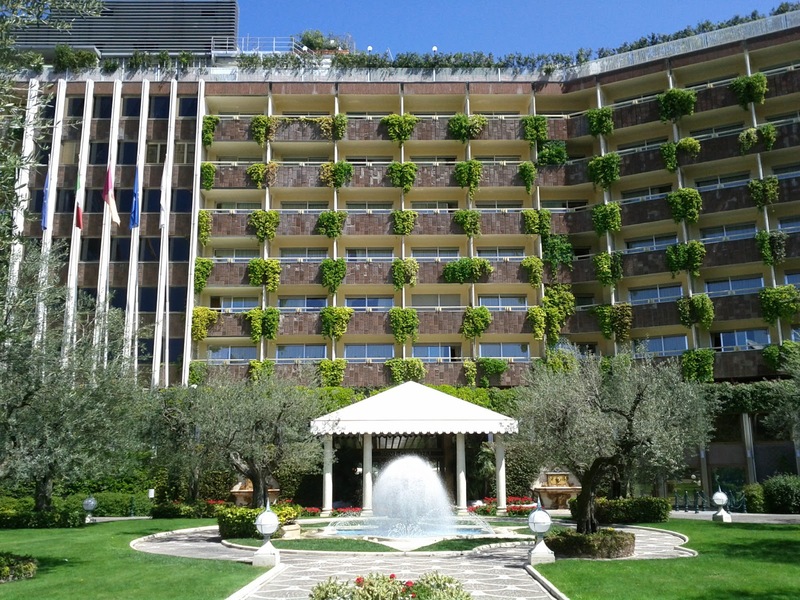 The royal party’s destination was Rome Cavalieri Hotel. Diana stood gazing out of the lavish penthouse balcony at the city beyond the tree tops. 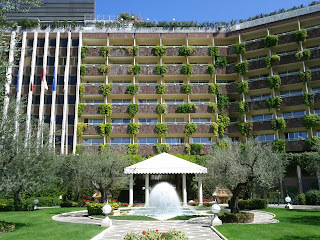 She was about to inquire to the whereabouts of the royal couple when the groom-to-be, Louis Cesario, entered the room. At 5’9”, Cesario was a little shorter than he looked on television, but no less handsome than his glossy magazine spreads. His skin was darker than what could have been acquired by a tan; a Nubian nose and black curly hair suggested recent black ancestry. Even so, Louis’ trim parted moustache made him look somewhat like Errol Flynn. “WHAT THE HELL ARE YOU DOING OUT THERE?” Cesario raged in a manner that would be barely suitable for a naughty school girl. Wearing a flattering navy blue safari dress with a shiny black belt, Diana turned around and placed her hands firmly on her hips. The entrepreneur was taken-aback, not just by Diana’s startling beauty, but also by her fiery response. He smiled a pearly white grin, and watched her take a seat on the sofa; as she did so, the parting of her dress widened beneath her bare crossed thighs. “Do you mean the undercover Italian agent waving the sub-machine gun, or the ninja mermaid in the wetsuit?” replied Louis, flippantly, at the bar. "I’ve never seen either of them in my life, before,” he informed, handing the cocktail to Diana. “Thanks, I think...” she said, glancing at the curious mixture in her glass, “It’s a shame Princess Rosetta isn’t joining us." Cesario relaxed on the sofa next to Diana, “Rosetta’s Lady-in-Waiting, Serena Rocca, advised me to the take the Royal's yacht from Belle Terra to the mainland as it was thought to be low key. The Princess wasn’t on board. For extra safety, Serena is escorting her on the next boat. Given the circumstances, I’m glad she insisted on doing so. They should be arriving, shortly. I have to say, Diana, when Steve Trevor told me he was sending his best IADC agent - after hearing we had been threatened by Nazi terrorists - I wasn’t expecting any one as spectacular as you. I bet you’ve broken many men’s hearts,” he said, placing his right hand on Diana’s exposed knee with a devilish grin. “IT CERTAINLY IS!” an angry voice agreed, from the doorway. Great start once again. The whole scenario looks like a "dolce vita" mixed with secret society and mediterranean jealousy elements. Highly promising .... Thanks. Thanks for the supportive comments. You seem to get it!